I am interested in growing my own organic vegetables. The soil in my backyard is mostly clay, and has lots of construction debris underneath left behind by the builder. That is why I have no other choice but to use containers for my plants. I am planning to use plastic containers, 15"x18"x18", and plan to grow tomatoes, cucumber, eggplant, peas, okra, zucchini, lemon, pepper and bitter melon. 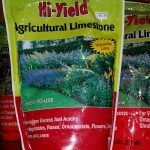 Buying good quality soil at the big box store is expensive, so I am thinking of mixing my own, but need help. Is there a soil type that would be good enough for all the vegetables that I plan to grow, or I need specific soil for specific plant? 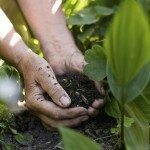 Can you help me to create my own soil inexpensively? I live in Toronto, ON in Canada. 1 ten gallon bag of Inert material such as peat moss or coco fiber. Mix these in a large container. You may use it like it is, but I always recommend letting it "cook" in the container in the sun for a few weeks.